Adventure at "the end of the world", the mysterious land of snow, ice and rocks. Within reach of seals, penguin colonies and surfacing whales. The turbulent waters of the Drake Passage. The picturesque labirynth of fiords. Rounding the magic rock. If you dream of adventure - join our crew. 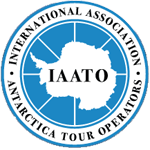 You can sail with us into the voyage to see Antarctica, icebergs of remarkable shapes and colours, meet face to face with a leopard seal, walk with the penguin, sail around Cape Horn, get to know beautiful fjords of Tierra del Fuego, where the mountains are still no marked trails. If you are looking for even tougher challenges you can sail on Selma into the unknown, to know the emotions explorers, uncertainty about the future, face the Southern Ocean. For several years, these remarkable places attract us as a magnet, and every year we look forward to when we go on a cruise in the fjords of the Beagle Channel, sail to meet the penguins or to the treacherous Weddell Sea. It is always meeting with unimaginable. Rejsy na Antarktydę. Najbardziej spektakularne miejsca na Półwyspie Antarktycznym. Regaty Sydney - Hobart 2014. Wyprawa na Morze Rossa 2015. 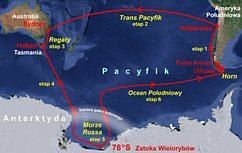 6 kwietnia 2014 Selma wyruszyła z Ushuaia, przez Przylądek Horn, Patagonię, Pacyfik i Australię na Morze Rossa. W kwietniu 2015 wróciła do Ushuaia. Wzieła udział w legendarnych Regatach Sydney - Hobart - był to ostateczny test jachtu przed wypłynięciem na Ocean Południowy. Pobiła światowy rekord w żegludze na południe - dopłynęła do Zatoki Wielorybów na antarktycznym Morzu Rossa - najzimniejszym morzu świata. Uruchomiliśmy specjalną stronę Regat Sydney-Hobart 2014 i Wyprawy Morze Rossa 2015. Możecie tam przeczytać o Regatach, o Wyprawie, o Morzu Rossa. Poznać załogę. Na bieżąco były umieszczane relacje z pokładu Selmy, informacje o wydarzeniach, zdjęcia i filmy przesyłane z Selmy. We invite you to view our movies : www.youtube.com/user/Selmaexpeditions.